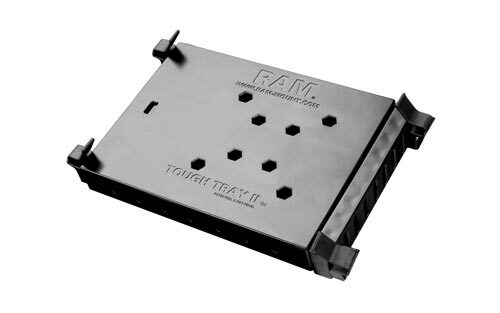 Well thought out and compact designs are common place at RAM and our new RAM Tough-Tray II is no exception. 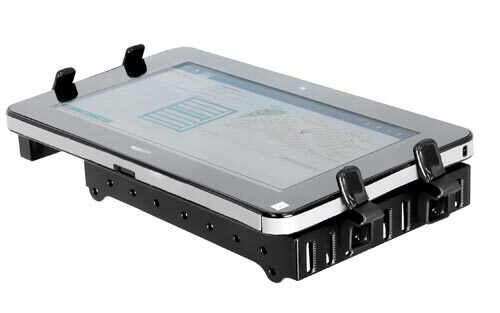 Spring loaded to create just the right amount of holding force, most tablets, UMPC’s, and compact laptops can be made safe and secure while on the go. 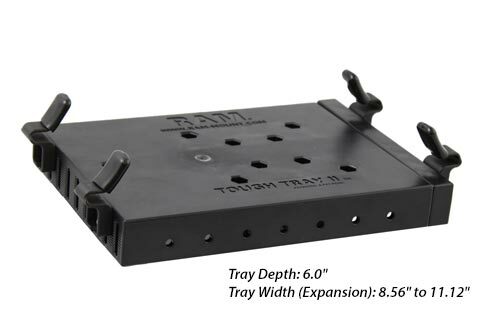 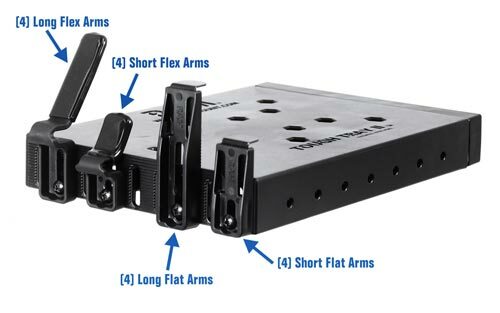 Simple to install and adjust retaining arms insure a perfect fit without interfering with ports or functions. 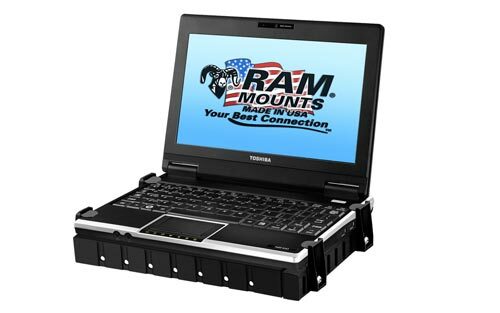 Also, if a compact laptop is in place, these retaining arms hold firm with the screen up or down. 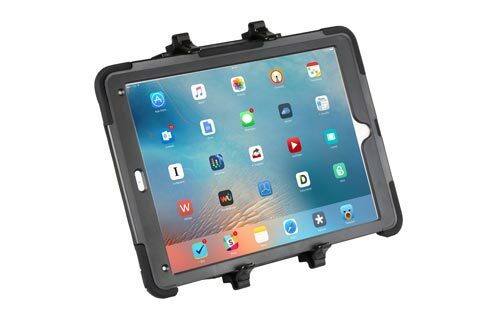 Ideally suited to a multitude of applications, and easily attached to hundreds of mounting systems for cars, boats, planes, and more, compact devices just work better in the universal tablet holder from RAM.